Schedules for all indoor leagues are typically posted online by the 2nd week of the season. 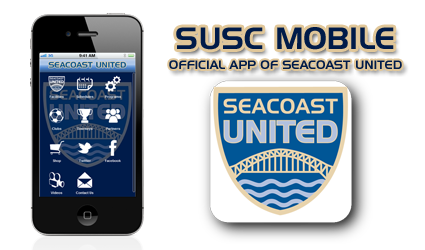 Seacoast United now has a mobile app for the Club's facilities, indoor leagues & programs, plus social media! "SUSC Mobile" is available for iPhone and iPad at the App Store. The same app is also available on Google Play for Android devices. The app is free to download! We hope that you take advantage of this and find the application useful over the course of the season.